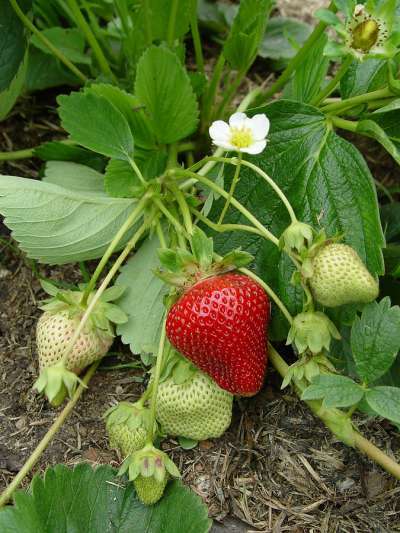 A mid late summer season strawberry popular in the States for many years, raised back in 1955. The fruits are large, shortly conical and a very glossy bright red with bold seeds. The inner flesh is often stained white until fully ripe whereupon the flavour is mildly sweet and pleasurable. A big, vifgorous large leaved plant, but produces few runners.